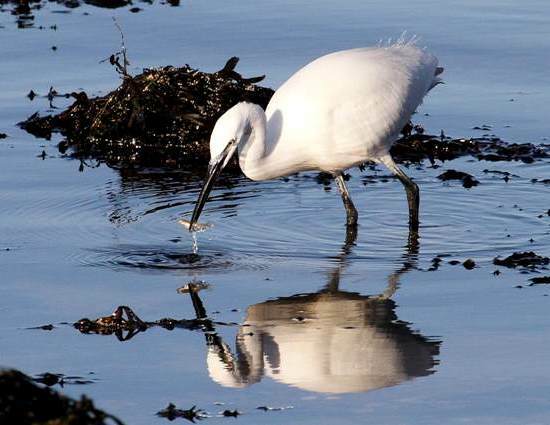 The Little Egret is a smallish white heron most commonly associated with the warmer parts of mainland Europe, Asia and Africa, but they do also appear in Britain. 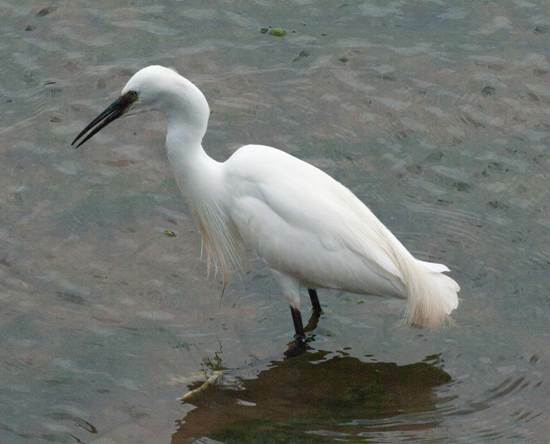 The Little Egret was first spotted in Britain in 1989, and in 1996 a pair of herons bred in Dorset. Small breeding colonies now occur in other parts of southern England and Wales, and many more Little Egrets arrive as winter visitors. 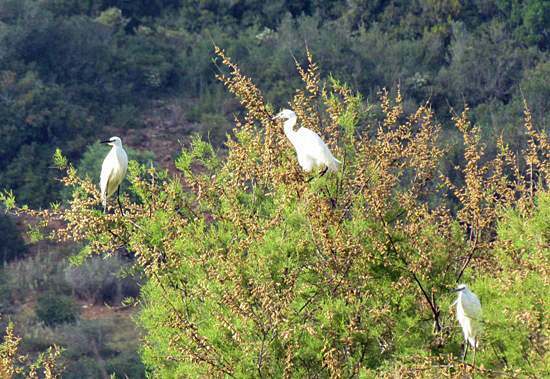 They aremost common in coastal areas, but in recent years these lovely herons are foraying a long way inland. 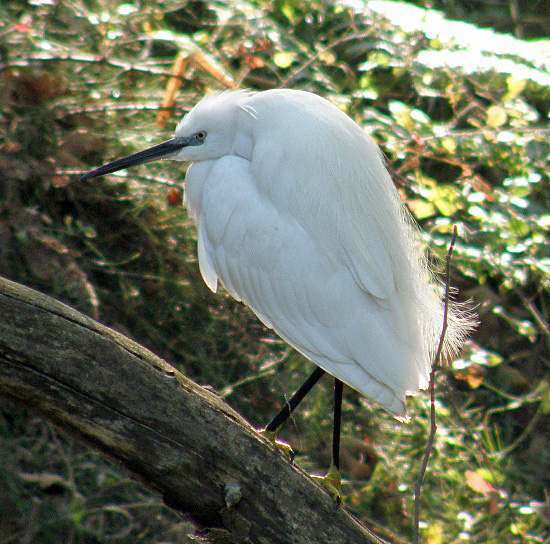 Adult Little Egret can grow to 65cm in length and with a wingspan up to 100cm. Their plumage is brilliant white, contrasting with their black bills and black legs (juveniles have dark-green legs) and yellow feet. In the breeding season, the adults have gauzy white plumes (see the picture on the left) on the crest, back and chest, and these adornments waft about very attractively in the breezes that so often ripple the surface of the shallow water in which they have to locate the small fish, amphibians and other aquatic creatures on which they feed. Little Egret nests in colonies. The nest is a simple platform of sticks, dead reeds and other bits of shrubs, and there the pair take it in turns to incubate their clutch of typically three to five blue-green eggs. Young Little Egrets are covered in white down, and it takes them about a month and a half to fledge. During that time both parents protect them and bring them food. 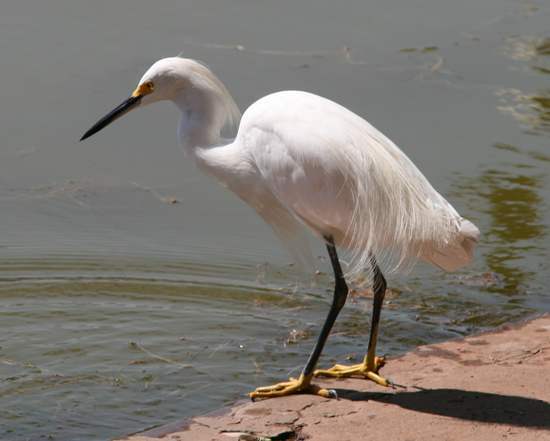 For the most part Little Egrets remain silent, but when startled they can make croaking and gurgling sounds: they are not great contributors to the dawn chorus! This page includes pictures kindly contributed by Will Bown and Rob Petley-Jones.